The Fellowship was fortunate enough to obtain a copy of TIME & VINE #1 from IDW Publishing. The story is written and illustrated by Thomas F. Zahler, colors by Luigi Anderson, and production design by Neil Uyetake. The hallmark of a Tom Zahler script is characters that are instantly identifiable and empathetic. A couple pages into a book and you can totally relate to them. You know them. This is no less true with TIME & VINE. I also love Zahler's simple, clean, but effective art style; looks great. There’s a magic here (and I don’t mean the wine or time traveling). It will be fun to see where this story takes Jack and Megan…and where they will wind up. 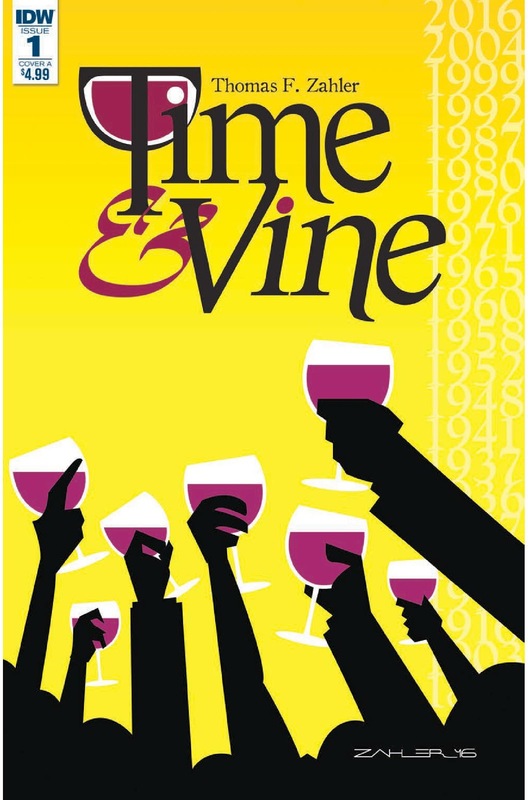 TIME & VINE #1 is in stores now or available at www.IDWPublishing.com.